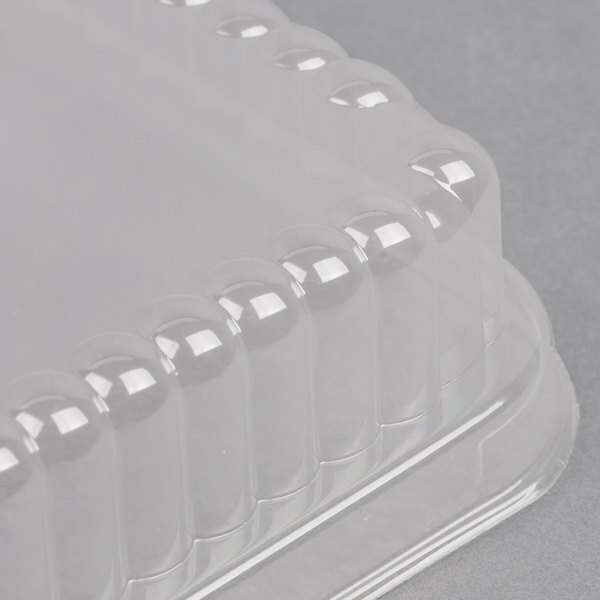 Great for bakeries and cafes, this D&W Fine Pack 37564 clear dome lid is the perfect companion to 1 1/2 lb. bread loaf pans. 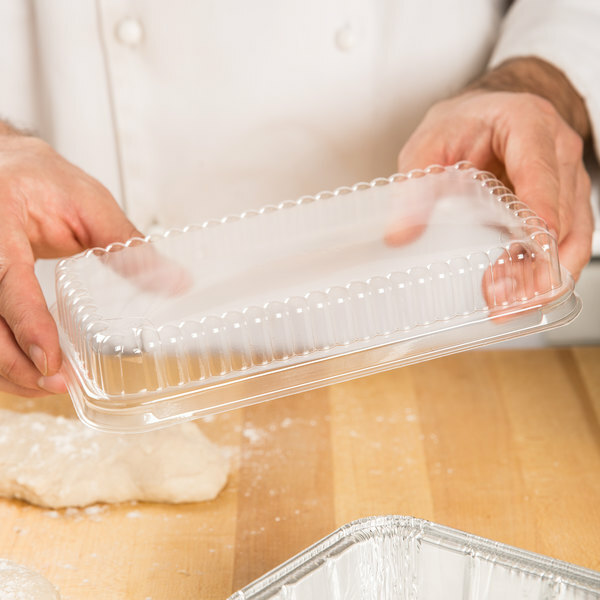 Using this clear lid reduces the need for additional bakery boxes while tightly securing your fresh baked goods. Simply bake your cakes or quick breads in a 1 1/2 lb. foil bread loaf pan (sold separately), cover with this dome lid, and sell! The 1 1/2 lb. foil bread loaf pan dome lid provides a clear window to view your delicious creations, and a secure cover for transport. 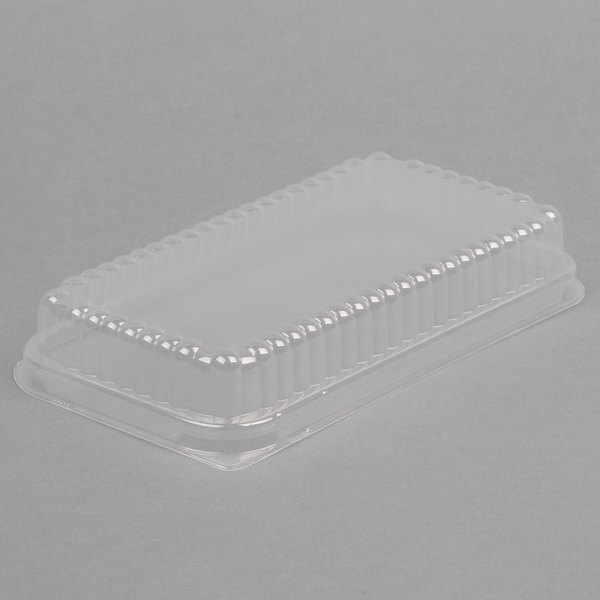 This lid features three rounded corners and one corner with a small tab for easy removal. 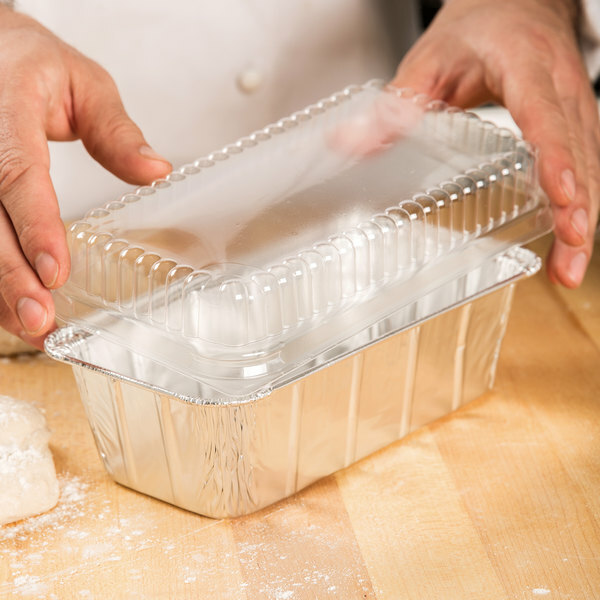 To attach the lid to its companion foil bread loaf pan (sold separately), first push down on the three rounded corners, then push down on the corner with the tab last. Be warned this is no longer the same product it once was under this order code. 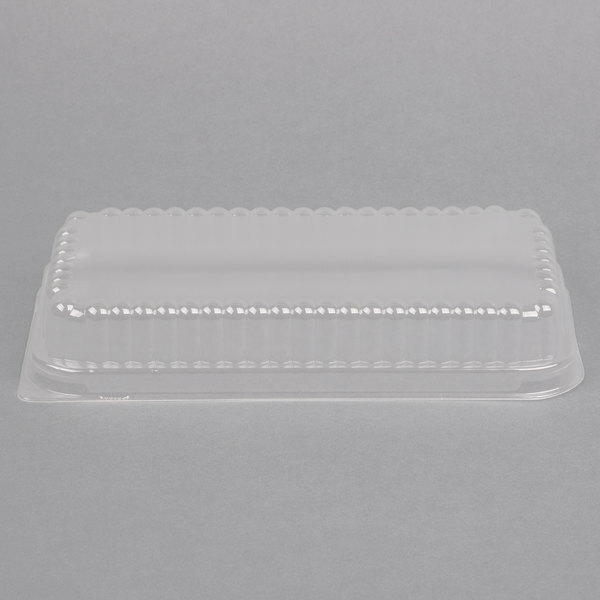 The lid is much more thin and brittle and less durable. My packaged sweet breads are no longer stackable with this lid. So disappointed. Bait and switch? Talk about making your baking easy to display. These lids are great, so convenient and easy to use. Just the right amount of space above your loaf if you add toppings to baked breads and customers can see how pretty your baked goods are. Makes for nice presentation and easy to sell your baked goodies. I have to agree with other customers that these lids are thin and not the most durable. I can use them, but cannot stack them as I thought I would be able to. The plastic lid does crack pretty easily when stacked. We appreciate your review, Dawn! We are sorry this loaf pan did not meet your expectations. If you are looking for a different product, please contact our Customer Solutions team. We use these to sell our baked goods. It makes for easy clean up and pretty displayed for our patrons. Thank you for you wonderful products. The lids are an essentail part to the foil pans I bought. They do go on quite difficult at time however they stay on which is important. I love to bake breads of all kind, sweet and regular and having the availability of these lids at such a low cost makes selling or gifting our products very easy. Gives a very professional end result when selling. These lids give a beautiful presentation while protecting sweet breads. They have room for labeling and look very professional and classy on display. Much better than simple bags. These lids fit perfectly on the loaf pan! Even if the cake batter spilled over a little bit, the lid still fit on! Perfect item! 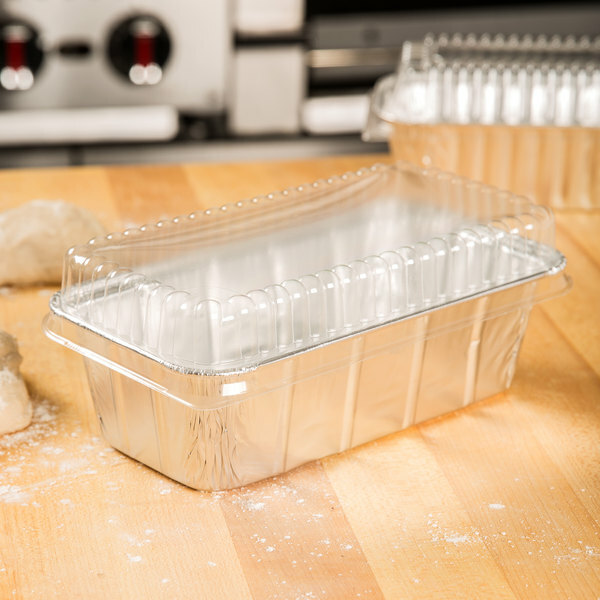 The 1 1/2 loaf pans are great for quick breads and other products at our bakery. The downside is that the lids have changed. They used to snap tight to the pan, even after baking. The new lid fits easily over the pan and covers the product inside but doesn't snap tight. This is a definite negative for this otherwise great product. These are great to cover those banana nut bread loaves or what ever you want to give away. These make the item more presentable when gifting or just to say thank you. 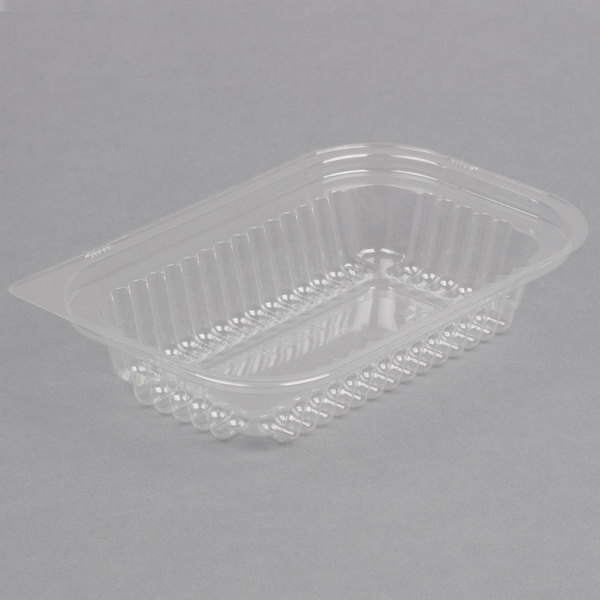 This is the lid that goes with the 1 1/2 lb loaf pan. It is great for presentation and storage purposes. I use these lids/pans for gifts mostly, or bake sales. Excellent dome lid for loaf pan! Sturdy material makes for a great seal! Great value! You can poke a few holes in them and use them with the loaf pan to store hot food in them too!! These add a great touch to the foil pans. You don't have to worry about stacking the foil pans. They are more sturdy then I thought they would be.